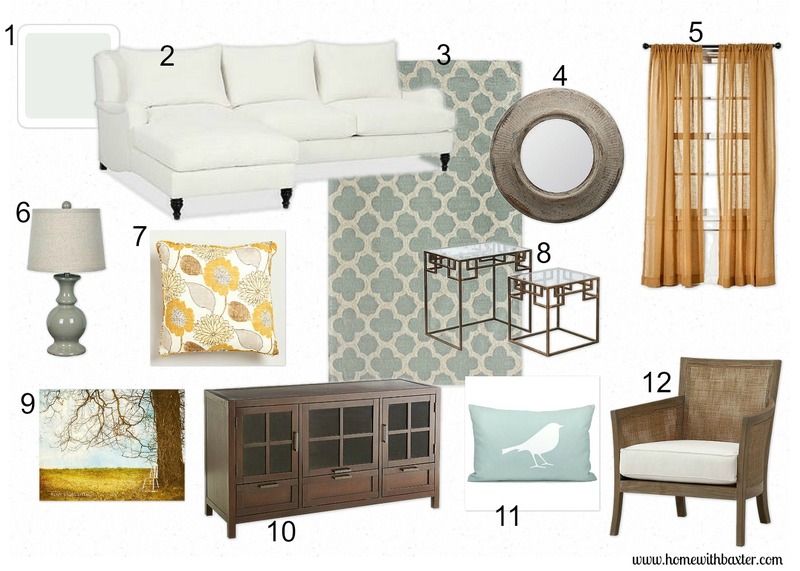 Today I'm sharing with you a new design board that I've been working on. You might recall, I'll be sharing a new design with you each week. 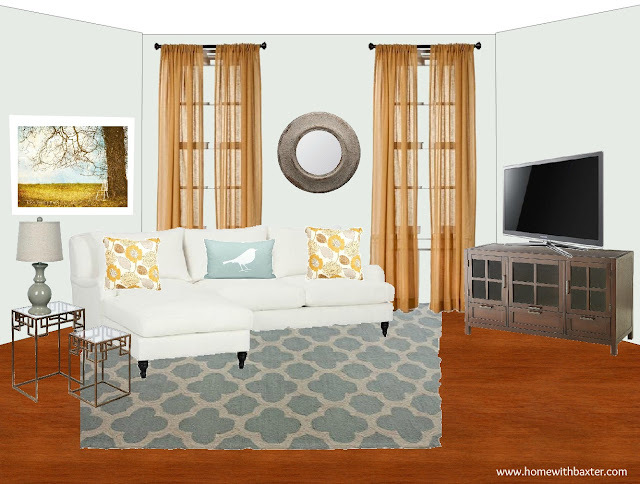 This week I chose to work on a tranquil family room. I used soothing blues and whites with pops of gold and yellow. I wanted to give the room a casual, relaxed feel and pull in elements of nature. I love how the modern furniture gives the country decor an updated feel. Pretty. I just love the touches of gold.